Our reading, writing and crafting poetry workshop at the library last evening was soooooo wonderful and inspiring! Thank you to Dave, Beth, Ellie, Tammy, Jaylynne and Miller for joining us! Dorothy [Mahoney] was a stellar teaching – gifting us with the pantoum – a repetitive formulaic poetry that we followed to write our own poems! So, essentially, you only have to write 8 lines, and then plug them into their respective numbers. You end up with four four-lined stanzas and a beautiful, rhythmic poem! 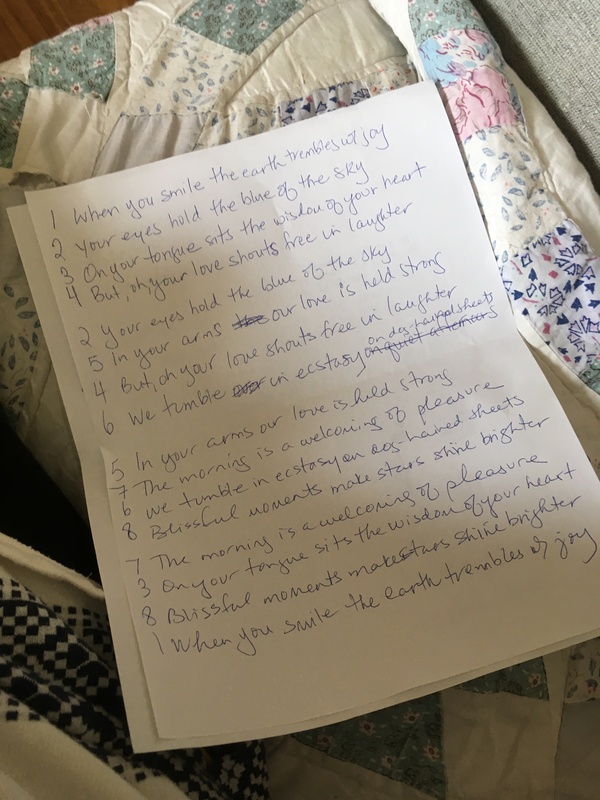 I wrote one for the hubby, as the intention in writing poetry at the workshop was to gift it! After we read poetry, talked about poetry, learned about the pantoum, then wrote one – we dove into the craft table to make gifts with our poetry! We made decorative boxes to fill words to make poems out of. We used burlap and sight words to make hanging-wall poetry. 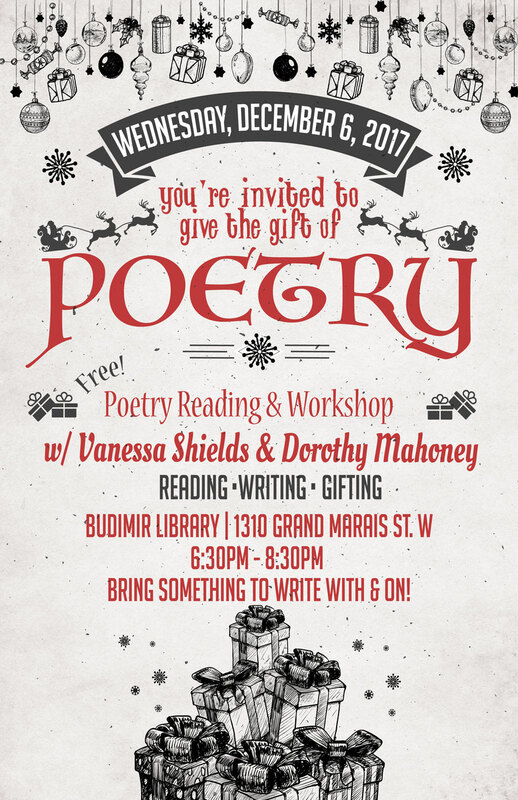 It was so great to extend the creativity of poetry into the creativity of making a gift out of that poetry – to give to someone we love! I made a fun wall-hanging that I can’t show you…because the received of said gift may see it!! In any case, we achieved our goal of creating gifts out of poetry! 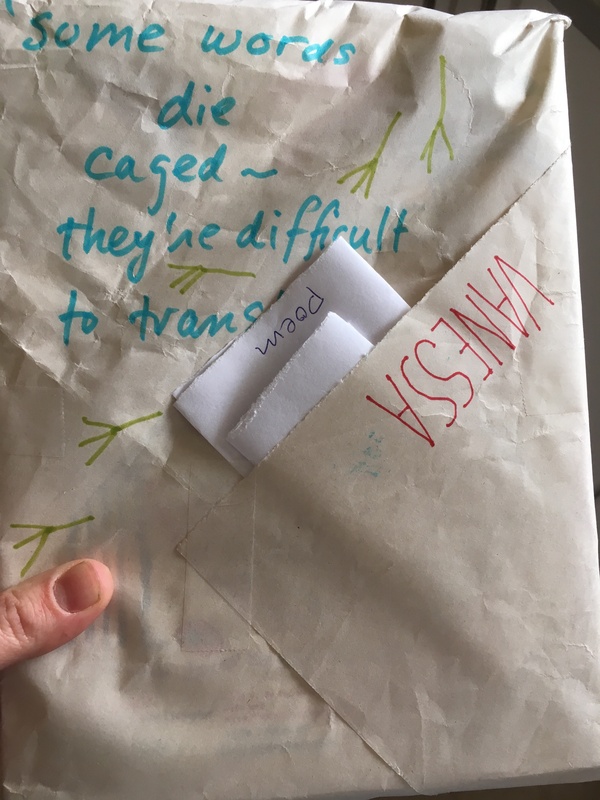 Another idea is to write poetry on your wrapping paper and tuck a poem into the gift! Thanks for this idea Dorothy! 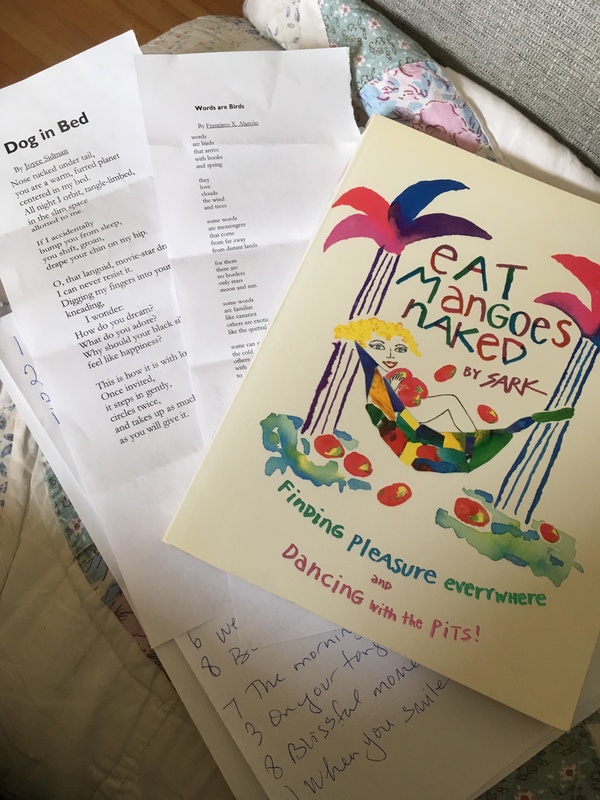 Giving creative books is also a great way to inspire poetry! I feel like we could have kept writing and talking and crafting for another hour! Next time! I’ll be sure to post pics of the gifts I make over the holidays…or the things I make for our house because why the heck not? Giving home-made gifts feels soooo wonderful. Do you have any book-ish, poetry-inspired gift ideas? Do share! 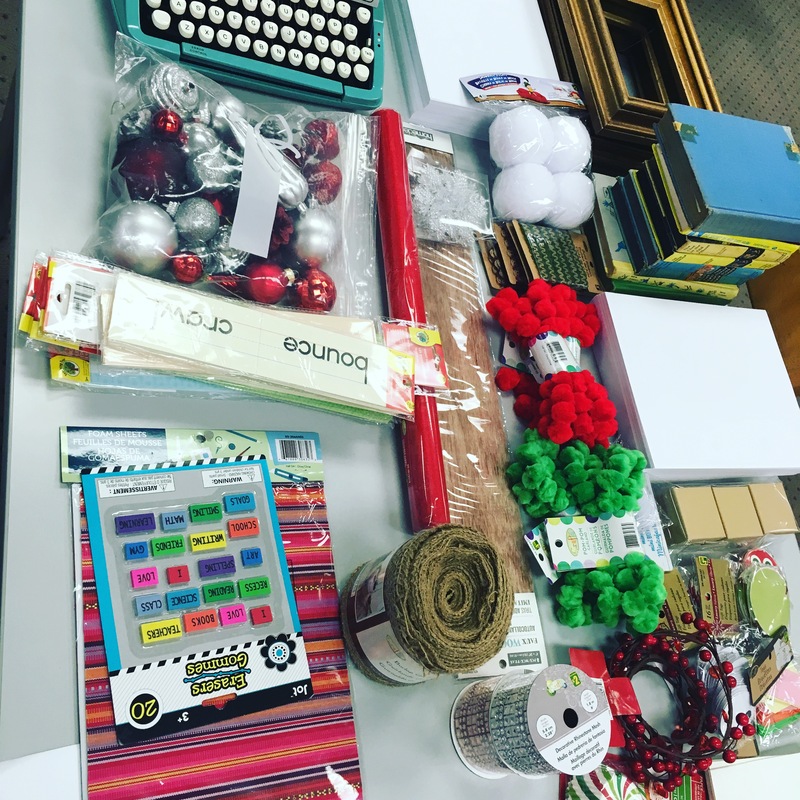 Happy gift-making and giving…and receiving too! Previous Post This Week’s Events – Poetry as Gifts & Mouth Piece Storytelling! Next Post MOUTH PIECE STORYTELLING – Season Closer Tomorrow Night!